I will #TweetAndRun the Philly Marathon solo. Can you help me raise $262 for 26.2 miles? to make a $10 donation to Alex's Lemonade! Volunteers are needed for Team Lemon Cheering Station! 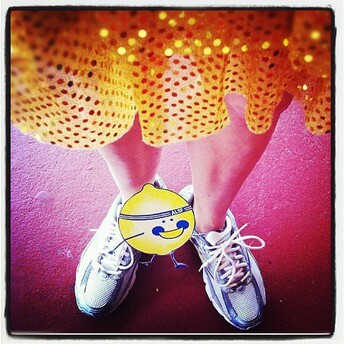 Look for the yellow Team Sparkle skirt!